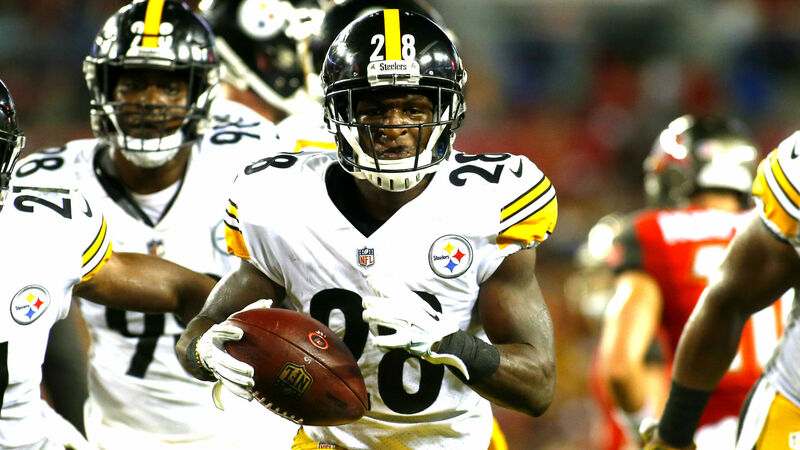 PITTSBURGH — As a nickel cornerback, Mike Hilton plays roughly 66 percent of the Steelers’ defensive snaps. Yet he’s almost always on the field as long as Pittsburgh’s defense is being deployed. After each play Hilton spends on the sideline, he can be seen floating away from the white out-of-bounds line and toward the defensive huddle, bouncing lightly in anticipation, searching for eye contact with his coaches and daring them to make a substitution. Coordinator Keith Butler and Co. don’t always oblige, depending on the opponent’s personnel. But when they do, the smallest player on Pittsburgh’s roster gets a chance to make the kind of impact rarely seen from players at his position. After the Steelers’ win over the Panthers last week, Hilton did not need much time to recover after playing just 19 snaps in a blowout. The 24-year-old had already gotten dressed and was prepared to go home when SN approached him in the locker room with a question. Hilton smiled and said yes. The bashfulness in his response was accompanied by a clear gleam of pride. In 2016, Hilton went undrafted in a class from Ole Miss that included Laremy Tunsil, Laquon Treadwell and Robert Nkemdiche, all of whom were selected in the first round. Hilton played every position in the Rebels’ secondary as a four-year letterman. He led the team with 71 tackles as a junior, and he was named second-team All-SEC as a senior. The 5-9, 184-pound defender was not invited to the 2016 NFL Combine, but the versatility he displayed as an undersized player in college earned him an invite to Jaguars training camp. He was cut at the end of that camp; he then spent a week on the Patriots’ practice squad before he was released in mid-September. On Dec. 13, 2016, Hilton was signed to the Steelers’ practice squad. He remained there for the rest of the regular season and postseason. Pittsburgh coach Mike Tomlin recalled the intangible-related potential his team saw in Hilton. “I think that’s one of the beautiful things about this game,” Tomlin said. “Often times the things that define a man aren’t things that you can measure. They’re not 40 time-related, vertical-related, height, weight, speed-related. If Hilton’s size did define him, he probably would not lead all NFL corners with three QB hits this season. He probably would not have recorded three sacks in one game last year, something only Troy Polamalu and Carnell Lake have done as Pittsburgh DBs. Hilton ranks No. 1 among Steelers defenders in PFF’s pass coverage rating this season. He ranks No. 3 in the entire NFL in QB rating allowed when in slot coverage (69.6; among CBs who have played at least 50 percent of their teams’ snaps). Only the Dolphins’ Minkah Fitzpatrick and the Chargers’ Desmond King have been better. Last year, Hilton finished second in the league in the same category. Yet Hilton’s value to the Steelers is not limited to his coverage skills. His ability to rush the passer is just as vital. No cornerback in the NFL blitzes more than Hilton, who PFF credits with 34 pass rush snaps this season. He rushes the passer on 13 percent of the passing snaps he plays, also most in the league among corners. Hilton said he loves blitzing and considers it “one of (his) strengths.” He said it’s an aspect of Pittsburgh’s defense for which offenses need to prepare, and his teammates agree. Watt, who leads the team with eight sacks this season, called Hilton “an underrated player in this league.” He also alluded to the edge with which Hilton plays. Roughly 90 minutes before kickoff of the Carolina game, after Hilton had finished pregame warmups in his Pittsburgh beanie, T-shirt and sweatpants, he spent a solid 15 minutes walking along the Heinz Field wall and signing autographs for fans who were hanging over the railing and dangling Steelers merchandise. Wide receiver JuJu Smith-Schuster was the only other player who tried to appease as many as possible in a short window of time. Instead, Hilton has found his niche in that position in a league increasingly dominated by slot receivers and, therefore, hungry for reliable nickel corners. And he’s the only nickel corner in the league who’s just as likely to hit the QB as he is to blanket a drag route in man coverage. Those are skills for which the Combine can’t account. “He’s a great-instinct football player,” Tomlin said. “He has a good feel for the game. He has really good vision, and he’s aggressive. Those are the qualities that produce (those) plays.